When it comes to Real Estate, service is everything! Whether you are buying, selling, renting or looking for someone to manage your property, there are a lot of choices in the Sarasota and Manatee County area. We pride ourselves on providing exceptional service to every individual. We believe the personal relationships we cultivate have a lasting impact on the client and us, long after the transaction has taken place. You’ll never be a number to us. You’ll never be just a transaction. What you will be is a member of the Precise Realty family, and we will always have your best interests in mind. We care about what is best for you. We live by this motto. We always have. We always will. Our experience in managing vacation rentals is second to none. We are widely recognized as a realtor resource because of our expertise in this area and we manage vacation rentals on Longboat Key, Siesta Key, St. Armand’s Key, The Meadows, Country Meadows, among others. If you are looking for a vacation rental, please search here. Please contact us if you have a vacation rental or if you have a specific question. We are always here to help. Michelle Carpenter and Jennifer LeBlanc established their careers in real estate in 1993. After collaborating on many projects over the years, it was decided that we would better serve our clients and be more efficient if we were to open our own real estate firm. 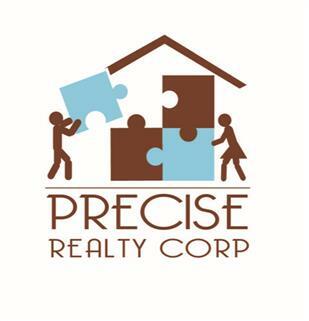 In 2013, our team created Precise Realty Corp. with the philosophy that when it comes to real estate, service is everything! Precise Realty Corp. is determined to create and deliver an unparalleled customer experience throughout the transaction process, which focuses on open communication, integrity and trust to each and every one of our valued clients. 6761 Webber Road, Sarasota, FL 34240 now has a new price of $499,900!